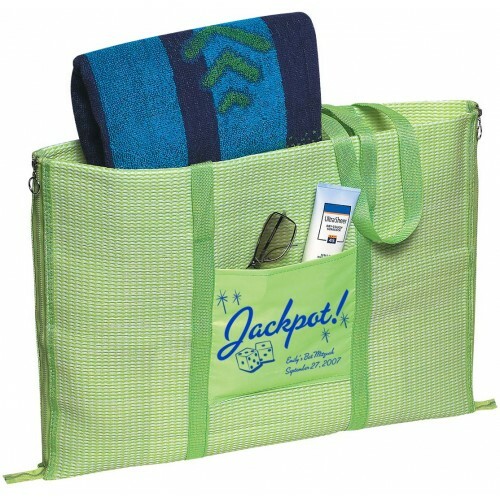 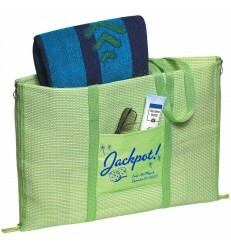 Your friends will have tons of fun in the sun with this cool beach mat that zips into a carry case. 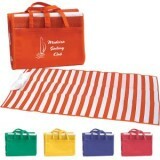 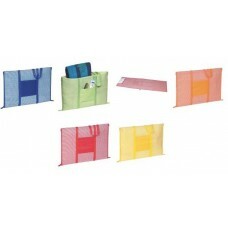 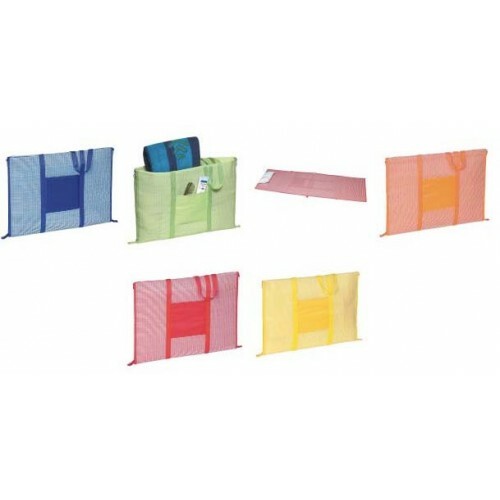 Once unfolded, the beach mat measures 23" x 67" and has an inflatable pillow for extra comfort. 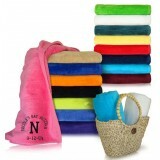 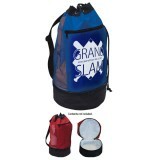 Choose red, royal blue, orange, lime green or yellow and then personalize it with your name and party date.